The Bureau of Indian Education (BIE) provides tuition, room & board, and books to students at minimal charge. Students must pay required fees prior to registration for classes. All fees must be paid in full (money order only) prior to registering for classes. Fees will be collected during registration. The Student Accounting Office accepts MONEY ORDERS ONLY, no personal checks. Other forms of acceptable payment for fees are federal and/or tribal government checks. REFUNDS: Fees, excluding $50.00 registration fee, are refundable (for status changes such as withdrawals, changes from CFT to CPT, or checkout from a lodge) until close of business on the last day of the trimester add/drop week (see trimester calendar). After that, students are obligated to pay fees according to their status on that date. Fees become non-refundable on that date. All fees and/or refunds will be verified by the Student Accounting Office and will be processed through the Federal Accounting System according to policies. The processing time for refunds is approximately six (6) weeks. Students with outstanding balances to the college must clear the debt before transcripts or grades are requested. 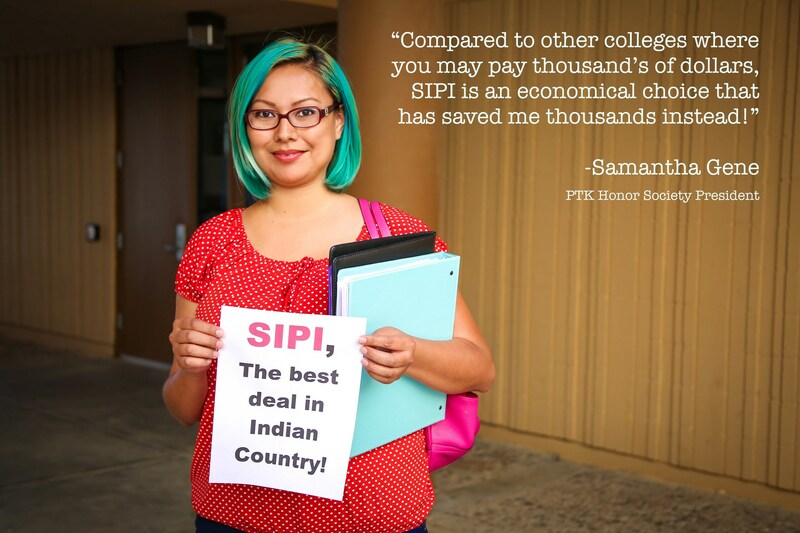 If a student has been awarded financial aid and has been given a SIPI Financial Aid Award Letter, it can be submitted in lieu of payment of the minimum amount due. The award will then be used to collect all fees required by the college for enrollment. The balance of all accounts is due no later than the third week of instruction, as indicated on the SIPI Academic Calendar. Please note: commuter students, both full-time and part-time, will now have an opportunity to purchase food service for $100.00; this will cover 3 meals a day Monday – Friday and 2 meals a day Saturday and Sunday. For further inquiries, please contact admissions at 1-800-586-SIPI(7474).